When fall and spring sports start to approach, the maintenance crew, made up of Nate Miner, Paul Hadd, Dylan Raymond and Tom Mungeon, has a big responsibility of preparing the fields for all of the games that will be played. This takes approximately half a day to accomplish. Paul Hadd puts the finishing touches on the lax pitch. Image by CVC staff. Mowing, weed-eating, applying topsoil, seeding and aerating the soil are all components that go into making sure the fields are ready to go for game time. This ends up being very labor intensive for the maintenance crew. Shepardson says, “At the beginning of the sports season, it takes longer to prepare the fields because you have to draw in the lines, but after that, it doesn’t take much to run the painter down the lines.” On average, maintenance will draw in lines twice a week. Disclaimer: Satire can make you think, but it can melt the brains of literal-minded people; proceed with caution. –CVC Eds. Did Obama Invent the War on Christmas? Let’s take a look at the facts I just made up. Obama has long been championed as the leader of Christmas killers, making 90% of his 2012 agenda based around spitting on the Bible. Despite showing Obama a photoshop I made of him hanging Santa, he denies any involvement in that matter sidestepping questions, and stating, “you photoshopped that — that never happened”. I decided to dig deeper and present to you the most compelling reasons I made up about why Obama hates God. A group of heavily armed mall Santas have established a foothold in the Northeastern Mall, taking control of the toy store by replacing nerf gun bullets with light machine gun (LMG) ammunition capsules. The move was unprecedented; the small liberal platoon of Happy Holidays Armed Forces (HHAF) stationed at the gumball machines was caught completely off guard. Only three were able to escape before the escalator was blown up. The rescue teams have managed to remove almost all civilians from the area, but there are still isolated pockets of people. With the War on Christmas turning in this new and scary direction, it’s time to look back at how this really got going. It has been three months since the Merry Mall Santas Association (MMSA) began their hostile takeover of malls on the east coast. Their army quickly overwhelmed the HHAF, as they have been able to recruit legions of Fox News fans ready to put on tights, pointy hats, and ammunition sashes, and charge to defend their brave, obese, chimney traversing leaders. In the 2017-18 school year at CVU, a new program was put into place so that all CVU students would have personal computers. For all classes other than the senior class this change had no effect because they received laptops when they were freshmen. But for the seniors, this means they would either use their own laptops that they previously owned, or they would be given a school-issued laptop from the previous laptop carts. This news was revealed in the previous school year by Charlie MacFadyen in an email he sent to the entire senior class regarding this change. The idea to bring 1:1 computers into CVU has been in the works for a long time and this year it has finally been fully instituted. “I think it is going to allow for students to do a lot more with technology,” says Charlie MacFadyen, a driving force behind this change. “The purpose of this change was to allow for more students to have access to technology, to both streamline classes, and also to allow all students to do their work, regardless of their limits outside of school,” he says. Two Work Crew members stacking wood. The CVU Work Crew went to Eddie Krasnow’s house to help with stacking wood and cleaning out his shed. Security cameras were placed on the exterior doors of Champlain Valley Union High School two years ago, in an effort to maintain better security outside of the building itself, and mainly in the parking lot. HINESBURG — Following the Thanksgiving break, CVU busses have begun parking diagonally in the bus lane when loading students after school. Ravenswood was observed wearing a T-shirt. The temperature at 3:05 on Tuesday, November 26 was 23 degrees, Farenheit. Bussing supervisor Ken Martin declined comment. Replica, not an actual school bus. Hinesburg, VT – Roarke Flad, a graduating senior of the 2018 class at Champlain Valley Union High School (CVU), has spent his last 2 years as a member of CVU’s Student Council. This year, he has been working with his Co-President, Lydia Koutras, in Student Council to make students’ voices heard. 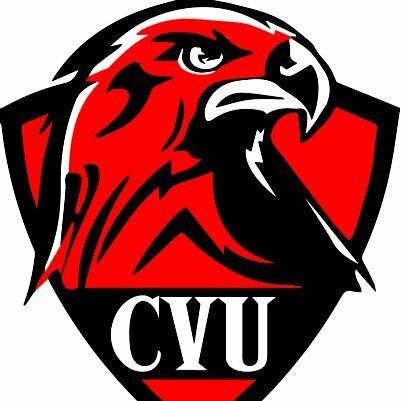 As our society and school grow more dependent on computers and technology, it seems that CVU has come up with the “1:1 plan” to stay ahead of the curve. In reality, the idea was rushed and implemented before we were even ready. As a result, seniors who decided to use their own devices have virtually no source for tech help and those who didn’t were given the “opportunity” to use the school’s old, beaten, and cheap computers while the rest of the student body strolls the halls with their nice and new Chromebooks. Oh, and the CVU student Wi-Fi still stinks. Matt Vile from IT says the purpose of the 1:1 plan was to “give each student a tool to do their work,” that students have “equal access to technology,” and that everyone would be “using the same technology.” While the goal of the 1:1 plan is sound in theory, the means of its execution are far from logical. Vermont has been known for decades as a thriving place full of art, culture, and community. CVU does a great job of supporting young artists through many diverse classes, creative clubs, and celebrations, such as CVU’s Celebrate the Arts. Finding inspiration in your community is a great way to expand your knowledge of art, whether you are a viewer or an artist yourself. For this Artist Spotlight, I chose Adam Glazer. Adam is from Cleveland, Ohio and currently resides in Vermont. The reason I chose Mr. Glazer to be put under the spotlight is for his unique aesthetic—one I haven’t seen much of in our community. I reached out to Adam and he was kind enough to answer some of my questions about himself and his art. At the beginning of the 2017-18 school year at CVU, students were surprised to see the new production room that had been built over the summer. With this surprise came many questions about the space. Lambert speaks about the room and all of the benefits that come with its creation. Unfortunately, many students don’t feel like they can use it for a number of reasons. Lambert wanted to change this mindset, saying, “because we took over a classroom, it’s our space to schedule. It’s really just [for] anybody that is interested [in] coming into 118 and we can figure out a time that we can do what people are coming up with.” Students and faculty with an interest in learning to use this new resource are more than welcome. Be aware of the red balloons, people, and remember don’t talk to strangers. It, the 2017 edition, has just recently landed in theaters, and everyone is raving about it. Everyone who has either seen the first adaptation, read the book, or has heard all the good things about it, is going to go see it. The movie is definitely worth it if you’re into a good/classic horror movie. This adaptation was directed by Andy Muschietti who is a director and screenwriter. It is his second movie. The main actors Bill Skarsgård (Pennywise the Dancing Clown), Sophia Lillis (Beverly Marsh), Finn Wolfhard (Richie Tozier), Jaeden Lieberher (Bill Denbrough), Jack Dylan Grazer (Eddie Kaspbrak), Wyatt Oleff (Stanley Uris), Chosen Jacobs (Mike Hanlon), and Jeremy Ray Taylor (Ben Hanscom). The movie is roughly 2 hours and 15 minutes and is the second adaptation of the popular Stephen King novel (the first was made in 1990). It is about the adventure of 7 kids based in Derry, Maine who works together to fight a clown they call “it.” The clown is named Pennywise, and he lives in the sewers under the town and wakes up every 27 years to feed on children and terrorize the town of Derry before he goes back to rest. In the book, the story was told through two time periods of when the characters were kids and when they were older, but in this adaptation, they only focused on the time period of when the characters were kids. I thought that it was smart to only focus the movie on when the characters were children because it really got to the point of the movie. Focusing on the kids was also clever because it made the length of the movie shorter. Zoe, the main character of 23 Minutes is a loner living in a group home and hating life. She, like most characters in YA novels, has a secret. Hers is that she can time travel, but only back 23 minutes at a time (hence the title), and she can only do it a limited number of times. When she witnesses a bank robbery ending in death, she decides to be a hero and try to save the day. Although this story is thrilling, (full of danger, time travel, a bit of awkward romance and lots of action) there’s almost no backstory or character development. Zoe is witty and sarcastic, but lacks a purpose. I’ll give the author credit: the story centers on 23 minutes, a pretty short time to show what a character is made of. But even so, without details Zoe seems bland and boring. Case in point: As I was writing this I couldn’t even remember her name, even though I had finished the book the week before! Although the details didn’t match my expectations, overall the book was a good read. The amount of action was satisfying, as well as the conclusion. I liked the quick way it was written: in snippets like a collection of short stories rather than a book. It kept me on the hooked, and I read it front to back with no pauses – all in one sitting. As well as having a less than standard format, this book has been proclaimed “One of the best YA books of 2017,” by websites such as Goodreads and BuzzFeed. Overall, I’d recommend this book if you’re into action and a unique formatting, but if you need a strong backstory and character development than, this book might not be for you. Champlain Valley Union High School students returned from summer vacation and were greeted by a transformed library space. “We moved into this space 13 years ago and about every year we have made changes to the layout, so this is just another extension… another way to make the space work better,” said Jennifer Lucey, head librarian at CVU and seasoned educational advocate of CVU students. The changes were thoughtful and incorporated elements that the staff thought would be valuable to the new layout. “For about three or four years we have been researching what we wanted to do, [attending] day-long workshops, to support educational philosophy. We have gone on lots of site visits, talked to the librarians, the teachers and the students who use the space. 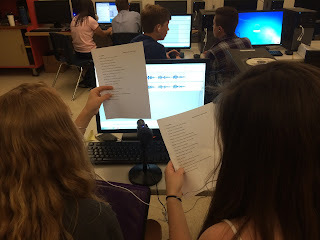 Our site visits included a variety of libraries [high school, college, and public]… in Chittenden County, around Vermont, and in at least 6 other states [as well as] Ireland,” said Lucey.